Go to the password set up page by clicking here. Check for an email from Codecademy, and follow the instructions. *If you do not receive this email, please check your spam folder. 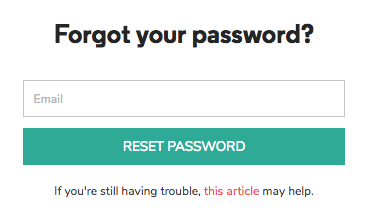 If contact@codecademy.com is blocked, you will not receive your password reset email.